The award winning Melbourne Social Club invites you to be a part of our social group that helps you to meet new people and make new friends in Melbourne. 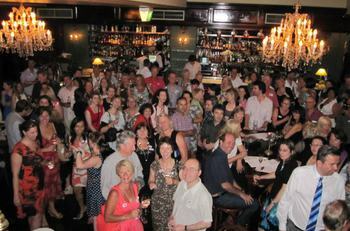 Enjoy great Melbourne social events and socialise in Melbourne in a relaxed, friendly environment. Check out our Melbourne Events Calendar for all the upcoming social events so you can reserve your spot online. At the event, just turn up, have a great time and meet up with some new friends in Melbourne and increase your social circle by meeting new people in Melbourne. Some of our social Melbourne events are also open to guests at a special guest price but most of our events are designed for Members Only. 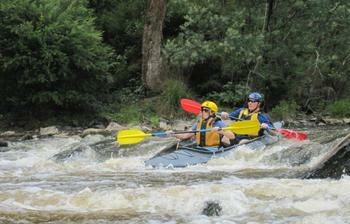 We bring together exciting Melbourne social activities where you can meet up with other like-minded people in Melbourne. The Melbourne Social Club does not just organise events for singles in Melbourne, we organise a wide range of social Melbourne events for everyone from free events to corporate style events. Melbourne Social Club is the registered name of the social club run by Fun, Food and Friendship for the people of Melbourne. Membership to the award winning Melbourne Social Club includes fantastic additional city benefits and access to member-only special events. The rewards scheme is run in conjunction with the City of Melbourne "That's Me!bourne" which entices Melbournians to enjoy the secrets of the city, especially on weeknights and weekends. It is a fantastic social group in Melbourne that has been awarded a commendation from the City of Melbourne. On presentation of your membership card to participating partners, you can enjoy discounts at selected bars and restaurants, reduced car parking rates, discounts at daily food and coffee outlets, reduced city accommodation, and much more! Your membership card will provide great benefits including, buy one get one free, 2 for 1 offers and savings of up to 50%, such as half price car parking on weeknights and weekends. The Melbourne Social Club is also known as the Fun, Food and Friendship Group and is a great way to make new friends and meet new people in Melbourne, especially if you are new to Melbourne and need new friends in Melbourne. The Melbourne Social Club is ideal for people with demanding lifestyles that would like to participate in organised Melbourne social events. Our Melbourne Social Group helps you widen your social circle in Melbourne, increase your Melbourne social life when you need more friends in Melbourne, or helps establish a new social life when relocating to Melbourne. The Melbourne Social Club has 6 month or 12 month membership options that offers a wide range of Melbourne social events and discounts. The Melbourne Social Club has a loyalty bonus scheme that will discount your membership renewal after each 6-month continuous membership by 11% (up to a maximum of 55% discount). The Melbourne Social Club has a members' referral scheme, which allows you, as a member, to earn a FREE membership extension for yourself!